Now, there used to be stories that the blue-shirted Tinerfeño taxi driver tended to rip off anyone he believed to be a tourist. Whilst every driver, obviously, wasn't guilty of this, the authorities have decided to do something to help you. As you leave the terminal building from Arrivals, there's an official sign listing the taxi fares to several key destinations throughout the island. I've listed them below. Taxis now have a queuing area off to the right as you leave the airport terminal building. When a few flights arrive in quick succession, it is not unusual for there to be a shortage of taxis. There is a leaflet called "Guia de Horarios" [ghee-a day oh-RA-rioss] at the airport (you can get one from the information booth next to arrivals). This also has the approximate taxi fares to various island destinations. Remember that (most) taxis, being Mercs are quite spacious and some are estates. They should be able to take four adults, all with large suitcases. If you need anything bigger, there are minibuses available (ask for "un grande" [grand-ay]). A far cheaper public transport option is the bus. 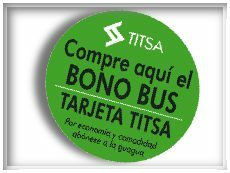 In Tenerife, there is the island-wide bus company, called "TITSA". (Rather an unfortunate name, I know. It stands for Transportes Interurbanos de Tenerife, Sociedad Anónima, no less.) The number 111 bus travels backwards and forwards between the terminal in Santa Cruz and Playa de Las Americas along the main motorway, Autopista del sur, calling at the airport on the way. It is every 30 minutes throughout the day. Rather quaintly given the name "guaguas", these distinctive green buses are clean, efficient and generally on time. Even when I lived in Tenerife and had my own car, if I had go to Santa Cruz for any reason, I would use public transport in the shape of the bus. There is an express one (number 110) which hardly ever stops and you are there in no time, travelling in comfort. It is possible to purchase a return ticket, which, as you’d expect, works out cheaper than buying an individual ticket for each journey. The phrase to use when asking for this is ida y vuelta [eeda ee vuelta] - literally "going and returning". Although using the bus for public transport is very economical, with cheap fares, there is a way of saving even more money. You can purchase a so-called "Bono" card. This is available from bus stations and shops displaying the Bono logo. You can't get one off the bus driver! If you're intending to use the bus from the moment you arrive, one of these cards can be purchased at the airport in the shop called "La Alpizpa", next to The Gift Shop. They are available at either 12 or 30 euros, are fully transferable and valid for one year. A couple may share one, simply by inserting the card twice into the ticket machine. 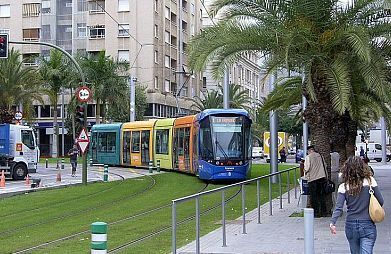 Should you find yourself in the capital of Tenerife, Santa Cruz, they are also valid for the tram system there (see below). I gather that single tickets for local bus journeys cost no more than 1:25 euros and most are under 1 euro. For full details of Tenerife bus times plus other information, visit the TITSA website. Like so many other cosmopolitan cities around the world, the capital of Tenerife, Santa Cruz, now has its own tram system - albeit of a modest size. Whenever I visited the main city whilst living on the island, I'd never seen any of these trams - and it turns out that they've only been operating since 2007, well after I returned to the UK. 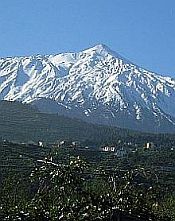 The company is known as Metrotenerife, or Tranvía, which literally means "tram" in Spanish and it operates two lines. This is the main line and it connects Santa Cruz with La Laguna, stopping at such important landmarks as the University Hospital, Candelaria Hospital and Plaza Weyler, where the British Consulate is to be found. Only added as recently as 2009, this smaller line links La Cuesta and Tíncer, merging briefly with line 1 for two stops. These rainbow-coloured vehicles are a convenient way to get around the immediate Santa Cruz area and fares are comparable in price to a bus fare. 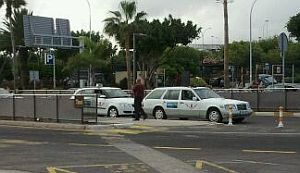 More information on tram stops, fares and timetables is available (in English) on the Metrotenerife website. These rainbow-coloured vehicles are a convenient way to get around the immediate Santa Cruz area and fares are comparable in price to a bus fare. 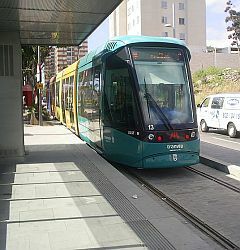 More information on tram stops, fares and timetables is available (in English) on the Metrotenerife website. What's the one mode of transport that Tenerife lacks? A train! Well, plans are afoot to rectify that situation. Cabildo President, Ricardo Melchior, has been in talks with the powers that be in Brussels to negotiate funding for this huge project. 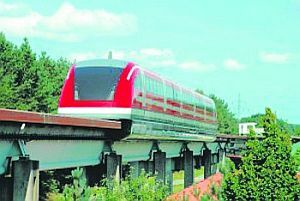 Intended mainly to provide a fast link between the north and south airports (a speedy 15 minutes), it is hoped to be also a tourist attraction, with people wanting to ride on it, or just merely see it. When, if ever, this ambitious plan comes to fruition, you'll be the first to know.